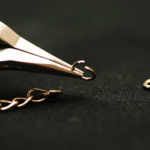 The Jeweler is responsible for creating new or modifying existing jewelry designs. 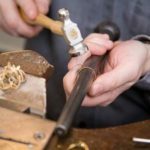 This position makes repairs, such as enlarging or reducing ring sizes, soldering pieces of jewelry together, and replacing broken clasps and mountings. 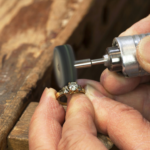 •Repair and restore worn and/or broken jewelry. 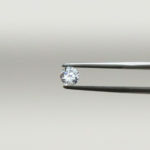 •Personalize jewelry through engraving metals or resetting stones. •Fabricate, modify, or repair jigs, fixtures, and hand tools such as scrapers, cutters, gougers, and shapers. •Create original pieces from a customer’s request. •Examine gemstone surfaces and internal structures to evaluate genuineness, quality, and value, using polariscopes, refractometers, and other optical instruments. 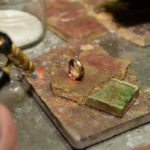 •Regularly use gold, silver, other precious metals to design pieces. 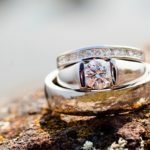 •Clean and polish metal items and jewelry pieces, using jewelers’ tools, polishing wheels, and chemical baths. •Cut, shape, and smooth gemstones, pearls, and metal pieces, using abrasives, grinding stones, and power and hand tools. •Examine assembled or finished products to ensure conformance to specifications, using magnifying glasses or precision measuring instruments. •Consistently and accurately completes paperwork and other necessary tasks. •Works together will all departments to ensure an efficient and positive Josephs culture. •Represents and upholds the Josephs brand. •Collaborates with management and executive team. •Approves ordering of maintenance parts and shop stock. •Compute costs of labor and materials in order to determine production costs of products and articles. •Research and analyze reference materials, and consult with interested parties in order to develop new products or modify existing designs. 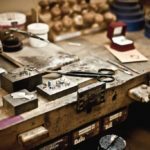 •Record the weights and processing times of finished pieces. Required education varies; high school diploma required. 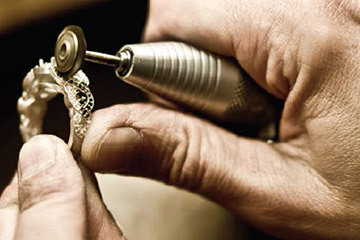 Minimum of 2-4 years of jeweler experience is preferred.